In order to rapidly manifest your needs, you need to get clear on paper exactly what it is that you want to do for a future employer. This Letter of Intent will express your intentions for a specific job. You can enclose a CV and explanation of your background and skills. This Letter of Intent template will help you structure your thoughts on every detail in a professional way, and will help you to reach the next level of success in your work, education, and business. 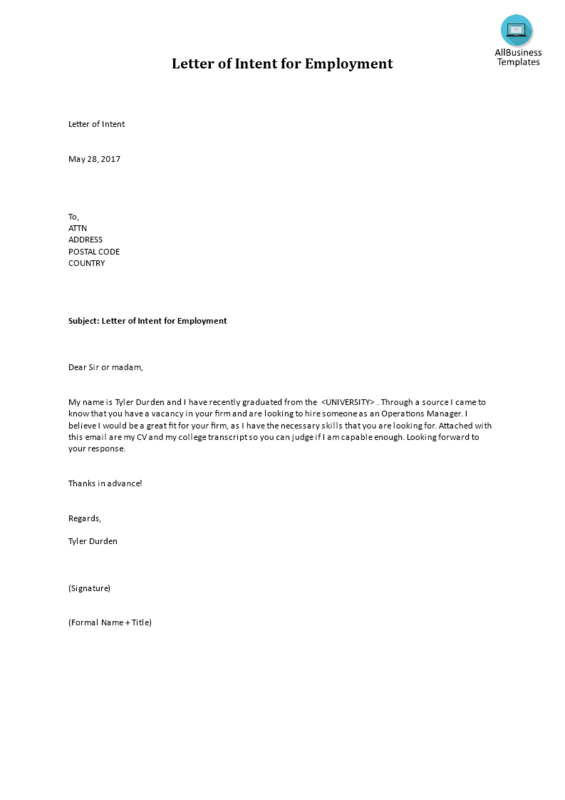 Download this Letter of Intent for Employment now, fast, safe and easy!